Unnamed African-American family poses for a photograph on the porch of a Dallas home, 1910. Courtesy Dallas Historical Society. Used by permission. 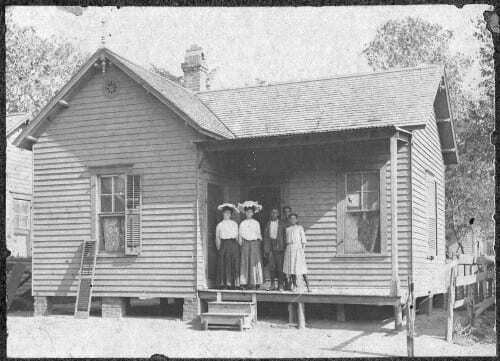 “Minnie Mae Bailey Thomas people on porch of house.” 1910. Accession number V86.50.557. Courtesy Dallas Historical Society. Used by permission.